Rick Cuppetilli, executive vice president with Adamo, told the Detroit Free Press that 10 percent of the explosive charges failed to detonate due to wiring issues that crews were investigating. 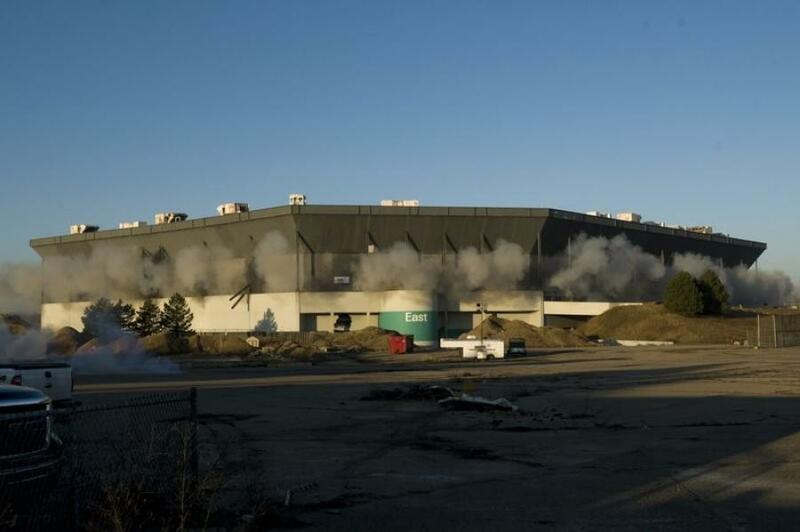 PONTIAC, Mich. (AP) — A partial implosion of the Silverdome failed to bring down the upper section of the Detroit Lions' former home as intended Dec. 3 as demolition of the stadium began. Demolition company Adamo said the blasts in Pontiac, Mich. did weaken the Silverdome and it could still fall, but it's unclear when that might happen. Unless gravity causes the building to fall on its own, excavators will start taking down the structure this week, he said. For thousands of onlookers who came out on a cold morning in hopes of seeing a dramatic collapse, the failure was a letdown. Jessica Landino made a 50-mile trip from Algonac, Mich. with her 11-year-old and 7-year-old sons, stopping along the way in Rochester to pick up her mother. “I'm a little disappointed,” Landino told The Detroit News. The Lions played in suburban Detroit from 1975 through 2001. The Silverdome also was the home of the NBA's Detroit Pistons.